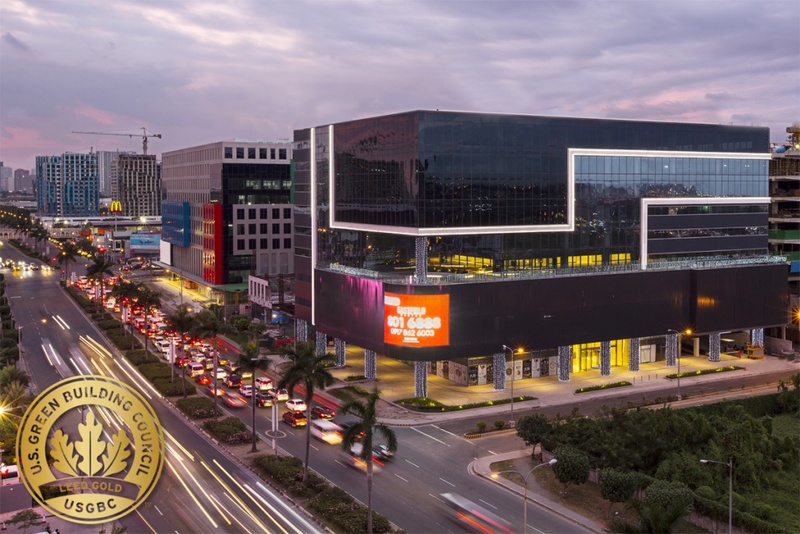 Eastfield Center, a corporate office in Macapagal Boulevard, Pasay City, has received a Leadership in Energy and Environmental Design (LEED) Gold certification in September 2018. LEED is a certification system administered by the United States Green Building Council (USGBC) that has become the most widely used green building rating system in the world. It aims to assess developments with regards to environmental responsibility in terms of sustainability, efficiency, energy conservation, and quality of materials. Eastfield Center, developed by Eastfield Development Corporation, attained a total of 61 points at LEED’s green standards, categorized as: Sustainable Sites; Water Efficiency; Energy and Atmosphere; Materials and Resources; Indoor Environmental Quality; and Innovation in Design. The corporate office was designed and built by one of the top architecture firms in the country, ASYA Design. Known by their compliance to environmental responsibility, the firm’s design philosophy is to incorporate green measures and materials into the construction of the building, without compromising its commitment to design quality.